In news that isn't really surprising to anybody, FX has picked up Donald Glover's hit series Atlanta up for a third season. Glover's more popular now than he has ever been and so is the Georgia-based show having won two Emmy's, two Golden Globes, and Peabody Award. As for Glover, he's currently in theaters as Lando in Solo: A Star Wars Story and has a hit single out with his latest release "This is America" under his musical project as Childish Gambino. Speaking at the Saban Media Center earlier this week, Donald Glover was met with applause when he compared the upcoming Season 3 of Atlanta to Kanye West's Grammy award winning record, Graduation. After comparing it to West's landmark album, Glover said, "This will be our most accessible, but also the realest and honest version of it, and I think the most enjoyable." Glover and his Atlanta co-writer and brother Stephen were asked about further details, but the two wouldn't spill any more information. Needless to say, the Glover Brothers are pretty excited about the third season of their show. 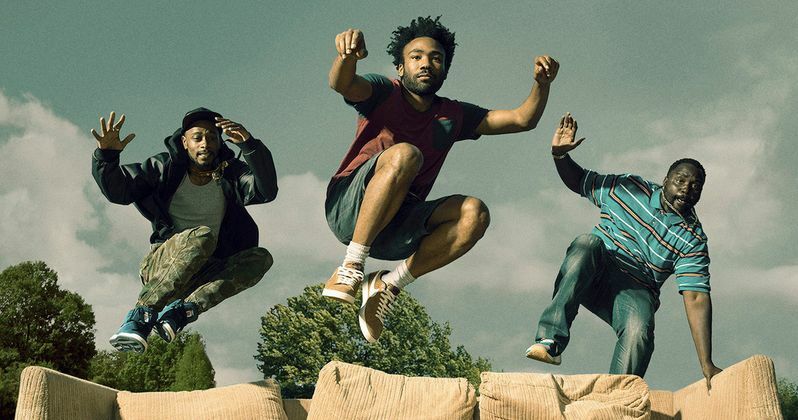 Even before FX had given Atlanta Season 3 the green light, Donald Glover was confident that they would be back to work soon, and he was right. In continuation of his comparison of the show to a Kanye West record, Glover also compared the writing room of Atlanta like a hip hop mixtape where everybody is trying to outdo the one who came before them. The hip hop comparisons work in this context for Glover as well as his Childish Gambino project. As Childish Gambino, Donald Glover has been pushing the envelope with his music as well. Each of his records is different from the one that came before it, and his last record, Awaken my Love, was his biggest to date, earning him a Grammy Award for the hit single "Redbone." Now, he's prepared to throw out all of the rules again which is evidenced by his latest single, "This is America." Glover has claimed that his upcoming Childish Gambino record will be his last, which has left fans stunned. It isn't clear where Donald Glover will go from there, but it will probably be a different direction entirely, or maybe even a Lando spin-off movie. While no release date has been set for Season 3 of Atlanta, it's believed that the show will be back in 2019. If Season 2 was any indicator, the next season is going to get even more weird, continuing to separate itself from the current television landscape. There's really nothing like Atlanta on TV at the moment, so it's going to be very interesting to see where the show goes, especially after Donald Glover's Kanye West comparisons. Expect more news about Atlanta Season 3 to drop soon, but in the meantime, you can read more about the return of the hit FX series over at The Hollywood Reporter.